A few weeks ago, people on the net spotted the above special deal posted on the Kohls website. It’s being sold for $60 on the site, but is “on sale” for $47.99. Product description below. 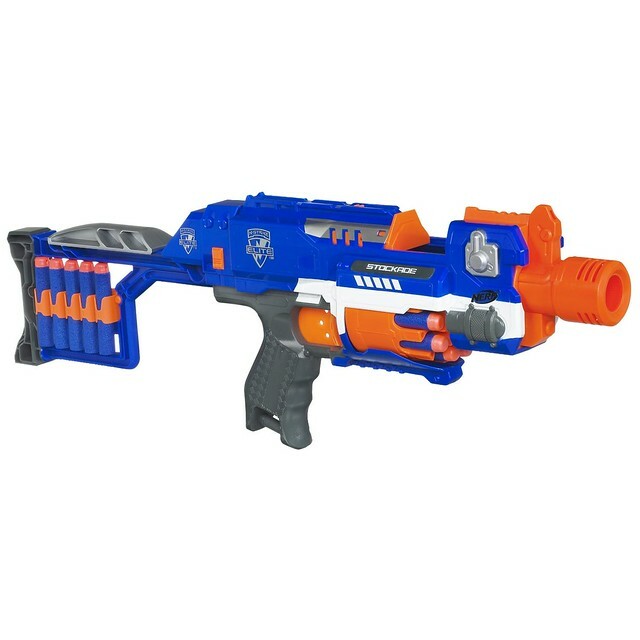 Find your target from 75 feet away and complete your mission with this Nerf N-Strike Elite Stryfe CS-18 Mission Kit by Hasbro. 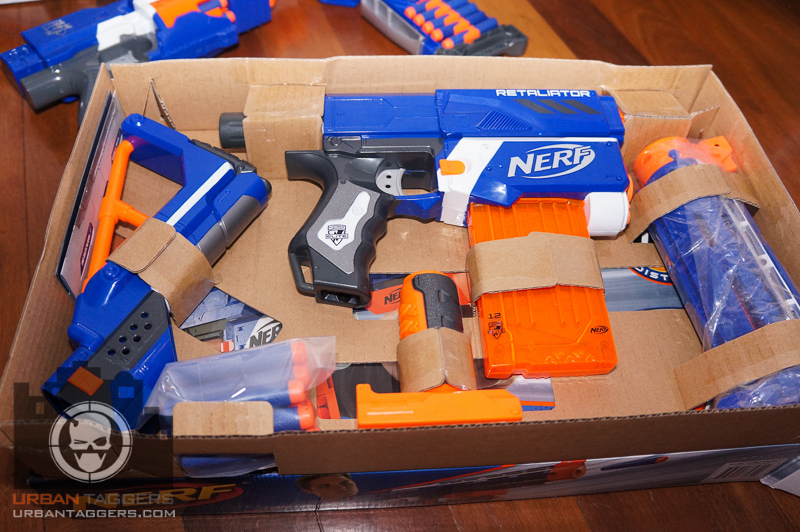 While the price is quite steep, it seems like a great starter kit of sorts for people new to Nerf. It also puts more accessories on the market, which most of us have wanted. 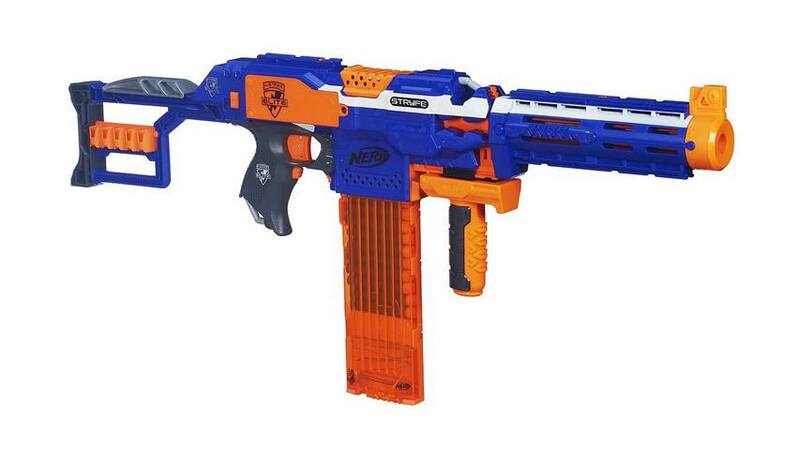 The price seems fairly fair, since a Stryfe is $20, and a Retaliator is about $27 or $28. Those two things together already cover the price of this kit, but you get a Stockade stock, and 18 dart mag instead. 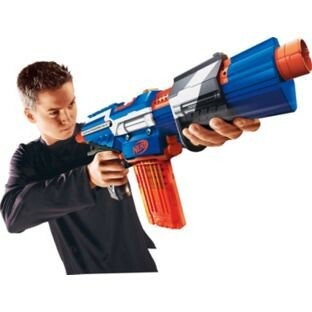 With motorized blasting capability, the STOCKADE blaster utilizes features such as a rotating 10-dart barrel and a removable stock with storage for 10 extra darts. 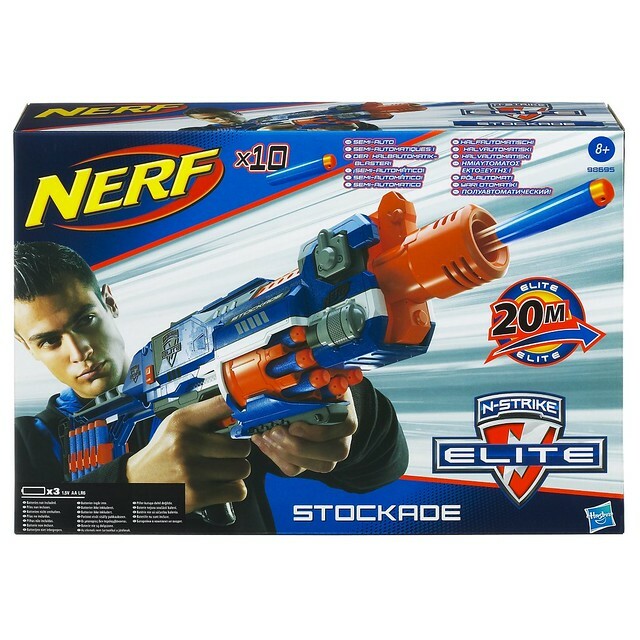 The N-STRIKE ELITE STOCKADE blaster comes complete with 10 N-STRIKE ELITE darts as well was a removable stock accessory with storage for ten additional darts (sold separately). 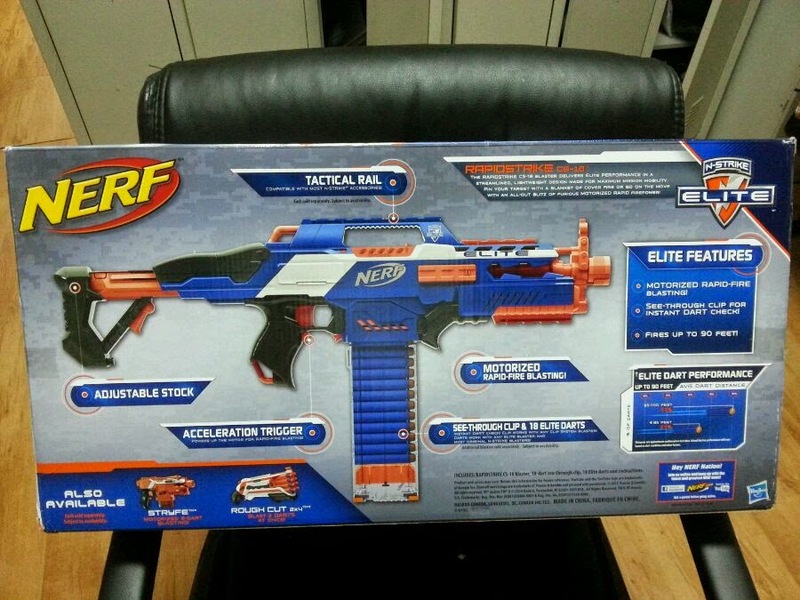 Blaster requires three “AA” batteries, not included. Available exclusively at Wal-Mart nationwide. 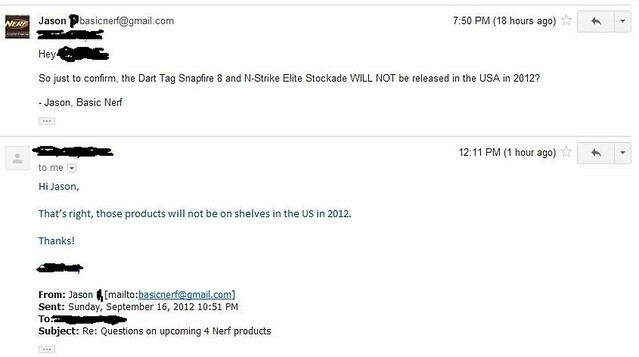 My Public Relations contact over at Nerf sent over this some info today. The newest, and most interesting info, is info on the Vortex Revonix360 & N-Strike Blazin’ Bow. Both are coming Fall 2013. The Revonix360 almost sounds like a Pyragon. And the Stockade is revealed to be a Walmart exclusive in the info I was given. 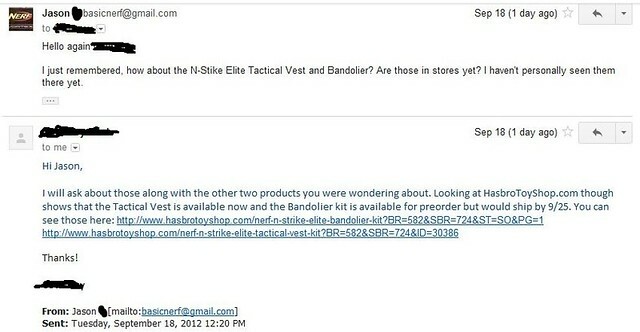 I’m guessing we’ll get more info and photos at the Toy Fair next week, so stay tuned to the blog for the latest Nerf news. Feb 7, 2013 EDIT: It’s actually called the Blazin’ Bow, not the MEGA Blazin’ Bow. I’ve edited the product description with the correct one, and removed the image to avoid confusion. The new description removes the description of a compound design, and also changes or removes the description of the MEGA arrows, and just calls them Nerf arrows. 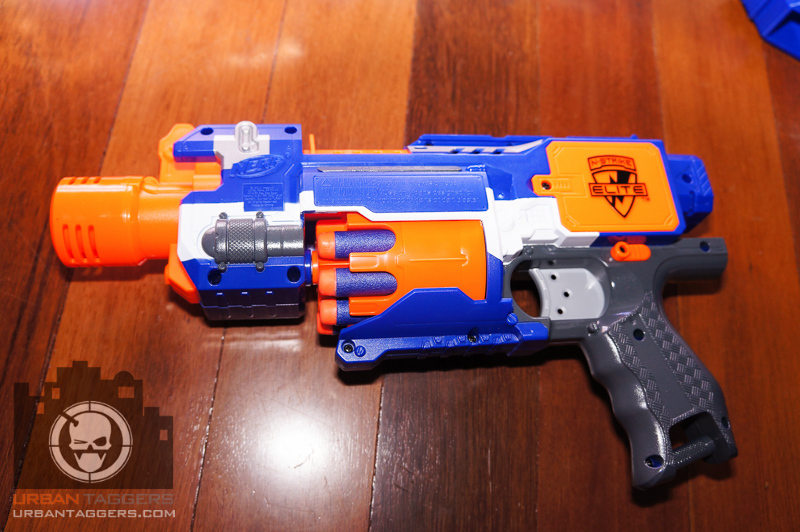 Urban Taggers just noticed that his international version N-Strike Elite blasters have grey triggers, vs the orange one that came on his USA bought Elite blaster. Perhaps this is a sign to tell the difference between USA and International versions? More news will be coming on this shortly. As far as I know, the Elite Stockade is only for sale in the UK so far. But Amazon.com has it on sale for $49.99. Grab it here before their two in stock run out.